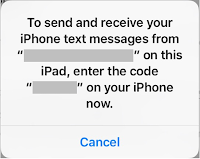 Earlier today I was presented with an interesting question about Messages on iPad and iPhone. I'll paraphrase it as: "How can I sent a text from my Wi-Fi iPad to someone using an Android smartphone?" I thought the answer involved making sure the recipent's telephone number was used or that the iPad needed to be tethered to an iPhone in hot spot mode. The phone number was strike one and the tethering option was strike two. I was close, but no cigar. 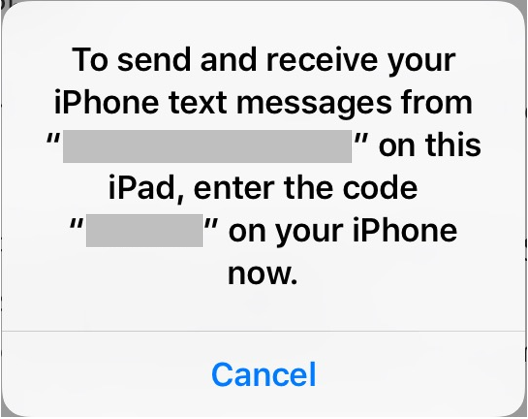 Here's the real answer: Text Message Forwarding from your iPhone. 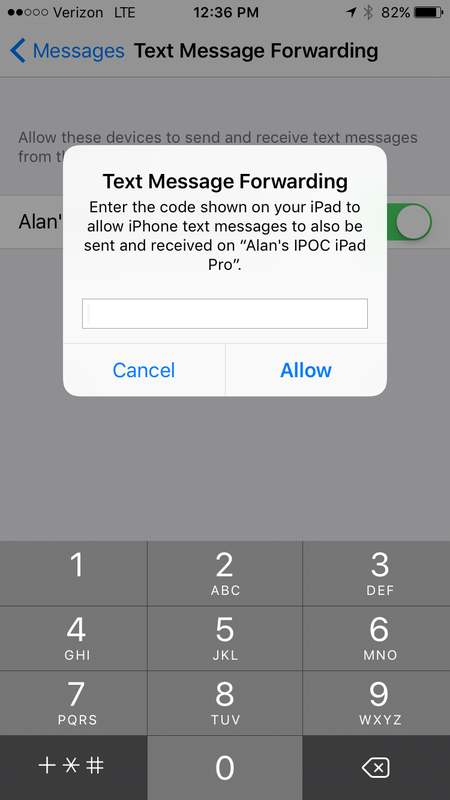 The Text Message Forwarding feature on an iPhone allows you to compose, send, and receive text messages on your iPad. 1. Sign into the same iCloud account on your iPhone and iPad. That's it! 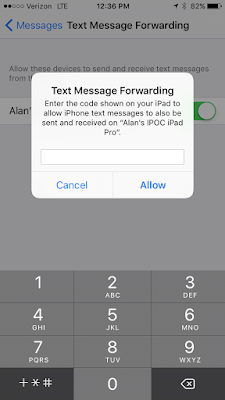 Once the iPhone and iPad are "paired" for message forwarding, you can send and receive text messages on your iPad with all of your "green bubble" friends.